It feels as if we are living in an age where we are more polarised than ever before. Extremism is the fashion in an ugliness where no middle ground seemingly survives. Classic liberals are now conservatives and traditional conservatives are labelled fascists in this ugly dispensation where the insane dominate and normal people are isolated, even made to feel like freaks – how dare you present a logical argument based on facts? Oh, and by the way, facts are whatever you say they are; alternative or otherwise. The role of the media is more important than ever before. Crucial even. The Fourth Estate have always been the guardians of the truth, the fighters for factual freedom to flourish and the consummate pseudo-secret agents exposing the villains on their airwaves and pages, physical, web or otherwise. Or has it always been that way? No prizes for guessing which one is more likely to sell a newspaper or book, garner a website click or share, or cause a listener or viewer to turn up the volume on their radio or television. And these media houses know which of those two stories you would rather consume. Of course they do. They have profits to make or else they will go out of business. Most media organisations are private business entities that exist to make a profit. They have to sell their product to someone; a target market. They have already identified who that market is and so some of these entities will sell to people who lean left, and others to people who lean right. None of this should come as a shock to you, dear reader. 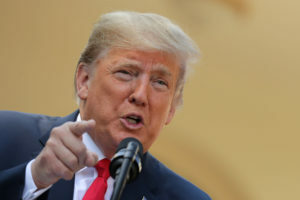 I purposefully mentioned the current U.S. president earlier because he was the subject (the ‘who’ earlier alluded to) in yet another major news story in the last few days. Trump has already demonstrated a disdain for the media, particularly what he calls the fake news media. As a journalist I am going to say this: Media houses selling their product to the left, liberal-leaning market are unlikely to report stories in a way that Trump will condone. Likewise, media that sells to a more conservative market will likely be praised by him. 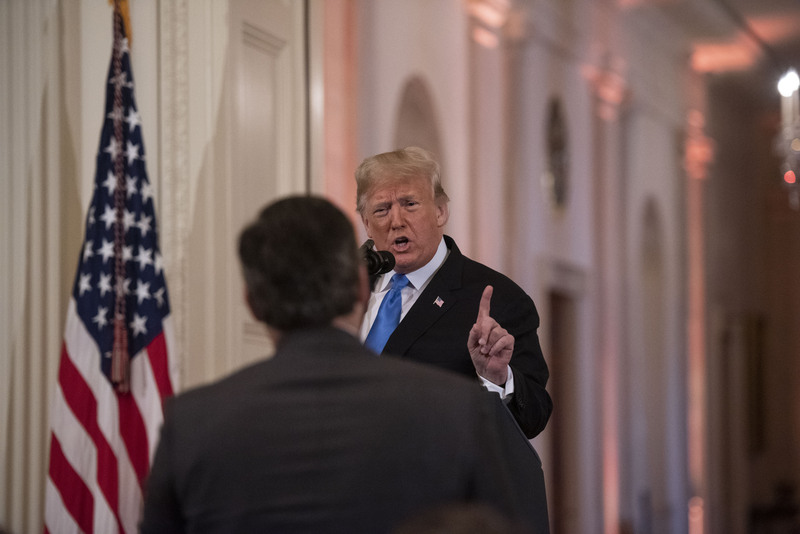 At the latest White House Press Briefing, CNN’s Jim Acosta became involved in a verbal skirmish with Trump. The American president is a bully. Bullies specialise in sparring, verbal and/or physical. 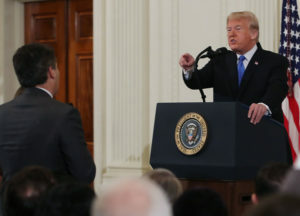 I have never met Acosta but would say it was foolish to trade verbal blows with Trump. There was always only going to be one winner. 1 You apply for accreditation to these events. 2 Accreditation is a privilege, not a right. I have been denied accreditation by FIFA for example. 3 Press conferences are packed with reporters. 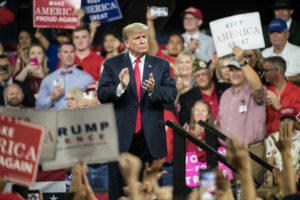 There is usually a certain protocol where the subject (in this case Trump) or a media liaison (Sarah Sanders most likely) will point to a reporter indicating it is their turn to ask a question, In turn the reporters would have put their hands up hoping to be noticed by the subject or media liaison. 4 Generally each reporter is allowed one question before the microphone is handed to the next reporter. Often a reporter will be allowed a follow-up question for the sake of clarity but then it is someone else’s turn. Acosta did not adhere to this. He attempted to ask at least a third, possibly a fourth question. He then engaged in a shouting match with the bully-in-chief. I have been involved in such an exchange with the coach of a national football team before. I regret it and before you say Acosta might regret it too, I’d point out he is far more experienced than I was when I had my incident. 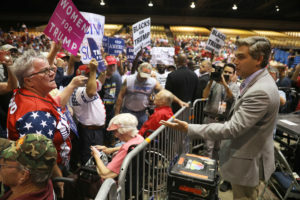 Further to that, this is not the first time Acosta has had this kind of bout with Trump, nor is it the first time this scenario has played itself out on live television – the same channel Acosta is employed at no less. Far be it from me to attack a fellow media colleague, especially one I have not even met, or call out a rival media organisation; remember I am employed at Al Jazeera Media Network. I am simply trying to point out how things work and that I think that in this case Acosta got it wrong; whether it was indeed premeditated or spontaneous. I also believe this incident has absolutely nothing to do with media freedom or freedom of expression. Acosta had had his turn to ask a question. If his freedom of expression was being suppressed, then what about the other reporters who were waiting patiently, as per protocol, to ask their questions? If CNN was having its media freedom suppressed, then what about the other media houses who were not afforded their opportunity to ask a question? And possibly because of a circus-like sideshow that was wasting valuable minutes. But do not let what I have just explained change your mind. After all, if you are a conservative then no doubt Acosta and CNN are the communist cabal that lack any social ethics, morals or values and want nothing more than to take all your money and dole it out to the lazy lumps who are on the street. Similarly, if you are a liberal, then Trump has once again demonstrated that he is an anti-media, anti-freedom fascist, racist, warlord all rolled into one and the genocide of anyone whose skin is a shade darker than pale white is imminent. I for one cannot wait for this page in our history to be turned.